Parker Hannifin (Twin Filter) offers skid mounted high pressure filter units especially designed for well head operations such as water injection, acidizing, frac jobs and well testing. 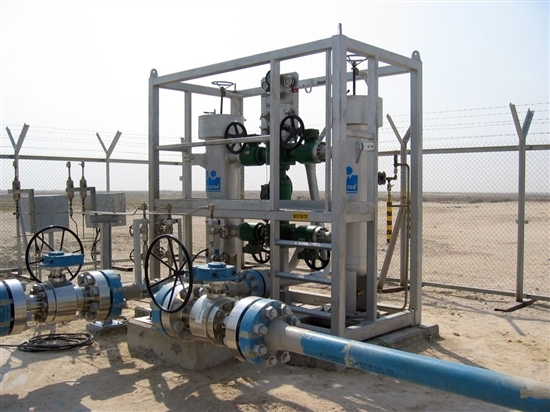 To maximize productivity of your oil or gas reservoir an optimum permeability is required. Filtration protects the reservoir against particles, which can plug the formation. Especially ageing wells require production enhancement. Our high pressure units are certified for operations up to 6250 psi and flow rates up to 24 BPM per vessel. The filter unit is equipped with two vessels in parallel for continuous operation down stream of the injection pumps.